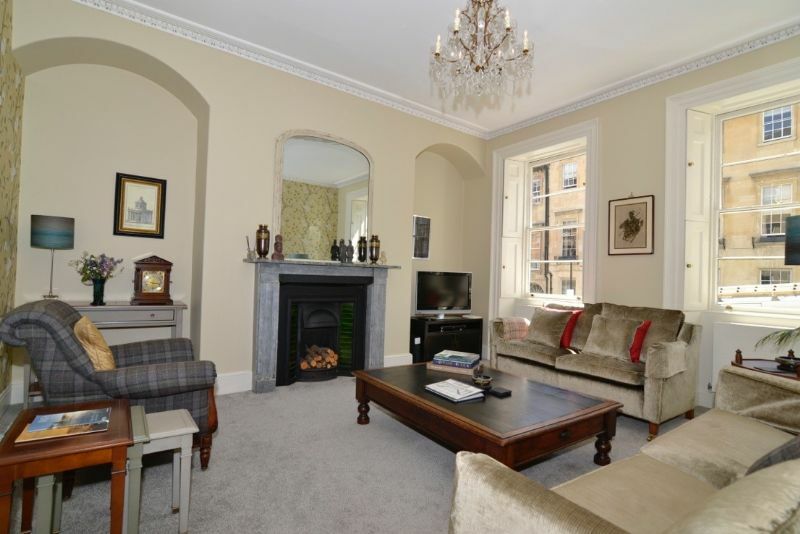 Gather your best friends, your funny family, your dearly beloveds for a brilliant time together in central Bath, without compromising on space or privacy in this wonderfully warm and stylish house that sleeps 6 on 3 separate floors, with 3 luxurious double rooms, each with a bathroom. 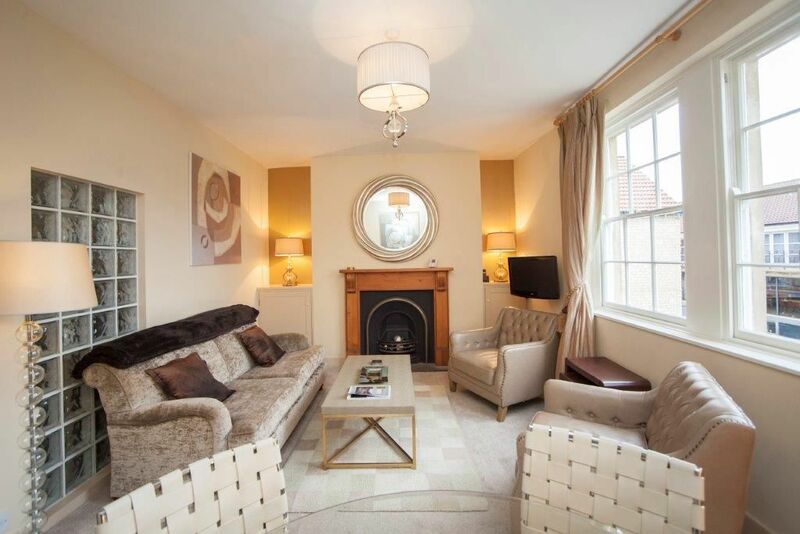 Elegant, charming and full of creature comforts, with a chic courtyard garden and designated parking space for 2 cars. It's a short 5 minute level walk to the city centre so you can indulge in city life or just hang out together. Awarded 5 stars by the English Tourist Board. 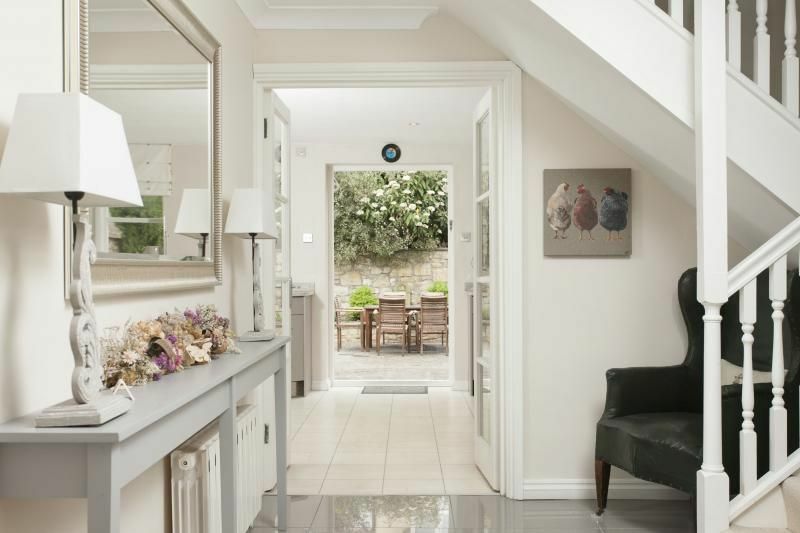 Crisp, bright and fresh, this well designed property for 8 in a quiet mews in central Bath is smartly styled from head to toe. From the chic oak doors and floors, moss grey carpets, textured stone tiles, modern glass balustrades, stylish vertical radiators and clever fitted storage, this neat modern home has great assets. With a parking space outside the property and additional permit for another car, an easy level 5 minute walk to the city centre, 4 tranquil contemporary bedrooms and three dapper bathrooms on the ground and top floors, along with a stylish and sociable lounge, dining area and kitchen, this is the perfect fit for a great stay in Bath. Awarded 5 star from Quality and Tourism. 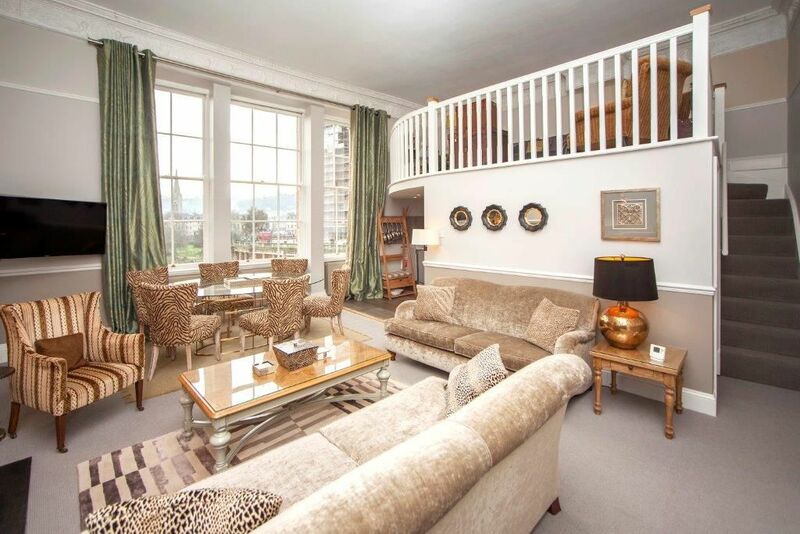 A sensational and handsomely furnished 18th century 1st floor 2 bedroom, 2 bathroom apartment for 4 with vast Georgian windows looking directly over the River Avon, Pulteney Bridge, historic Bath stone buildings and the rolling countryside beyond. This exceptional building, with a rare vantage point in the centre of this beautiful city, makes for a truly memorable experience. The spectacular southerly views, along with the sound of water flowing over the weir, are enchanting. It has been lauded as the best location in the city of Bath and is featured in many Bath postcards. Be prepared to truly unwind and relax in this stunning stone and glass architecturally designed 2 bedroom, 3 bathroom detached gated home with private parking. 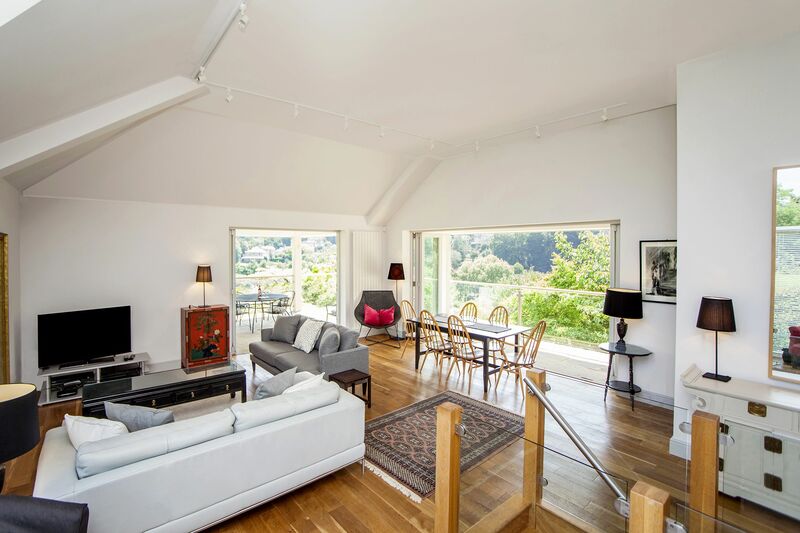 Built into the hillside, and set in an enormous garden, it is surrounded by decking and patios allowing you to take in one of the most captivating views in Bath. Awarded 5 star gold by Visit England. In the golden heart of classic Georgian Bath is a shimmering apartment for two with a tranquil terraced courtyard garden. Bask in the glow of this beautifully decorated home with handsome Georgian proportions and elegant period details. Surrounded by historic architecture, galleries, museums, fine restaurants and gorgeous boutiques, this wonderful apartment has the Midas touch. A fine surprise awaits behind the façade of this Georgian terrace, as you step up into a bright, spacious, and contemporary room that stylishly combines a living area, dining area and kitchen using honey-coloured hardwood floors, comfy sofas and chair, a large flat-screen TV with DVD and a smart fitted kitchen with all the mod-cons, newly refurbished in August 2012 and further refurbishments in 2013 . 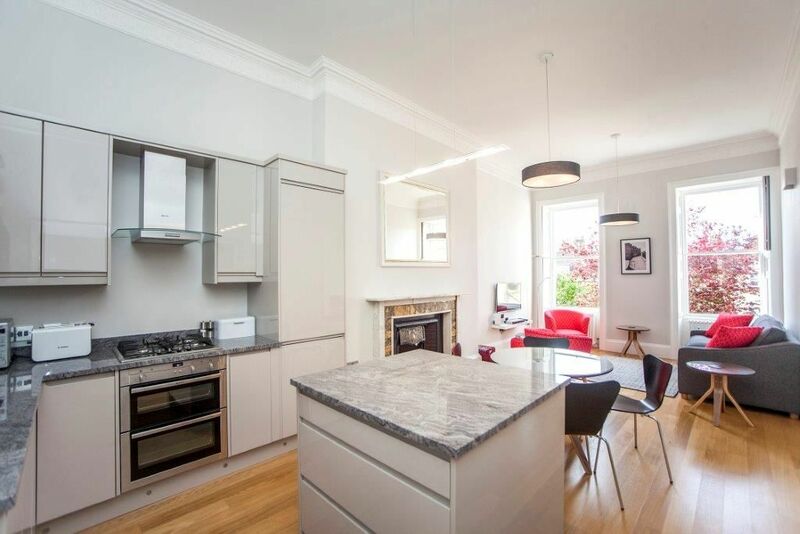 This intriguing house is arranged over 5 and a half floors, has 2 bedrooms, 2 bathrooms, cinema room and is around the corner from the famous Royal Crescent and Kings Circus. Panoramic city views and idyllic canal scenes provide an endless source of theatre at this big comfortable rambling Georgian house for 5. 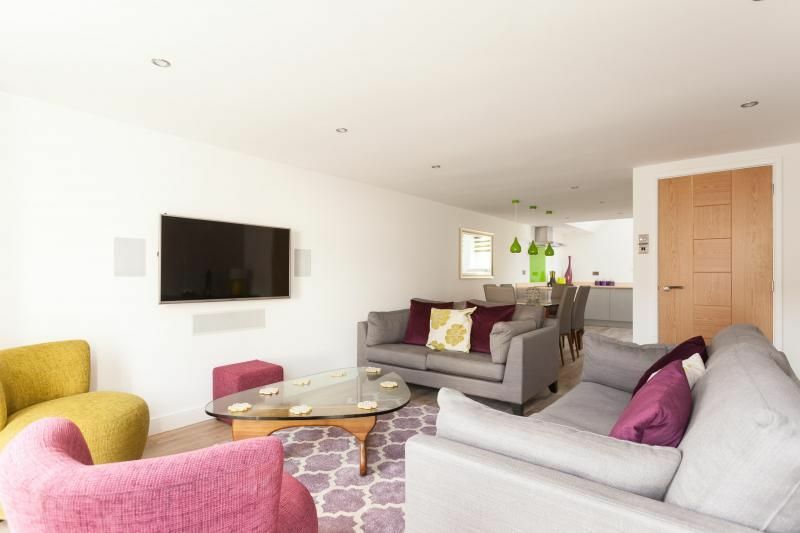 Both the city centre and Bath Spa Train Station are a 5-10 minute walk and the house provides a warm welcome with fresh informal interiors and a large level sunny garden overlooking the Kennet and Avon Canal. With a crisp and contemporary interior, this fine, bright ground floor two bedroom Georgian apartment for 4 is close to the city centre, has pretty garden views and is surrounded by architectural gems. This modern and comfortable 2 bedroom, 2 bathroom mews house, with private parking, on a quiet side-street overlooked by trees and close to the city centre, is neat, practical and well organised. The property is arranged over two levels and all rooms are smart, contemporary and well-arranged. Take the scenic road to Bath, park up outside your front door and live a life of luxury in this jewel of an apartment in the centre of historic Bath. 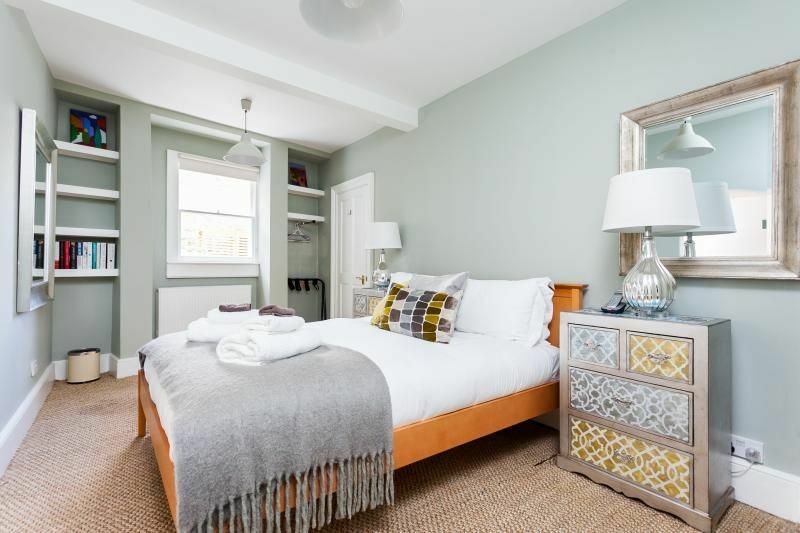 This beautifully furnished and stylish period apartment sleeping up to four in two double bedrooms, one of which can also be a twin. The first and second floors have retained original features alongside contemporary décor. It is tranquil and luxurious, and benefits from a car-parking space for one car, and all that Bath has to offer practically on your doorstep. It has been awarded 4 star gold by the Tourist Board.